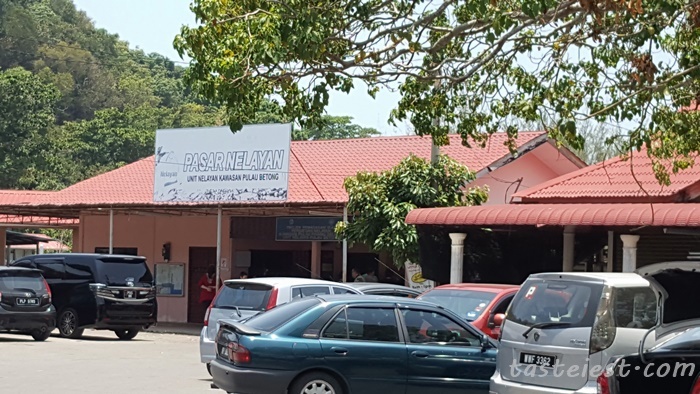 Pulau Betong is a small fisherman village located at Balik Pulau area, recently we heard from a relative there is a seafood restaurant selling fresh seafood and taste very good. 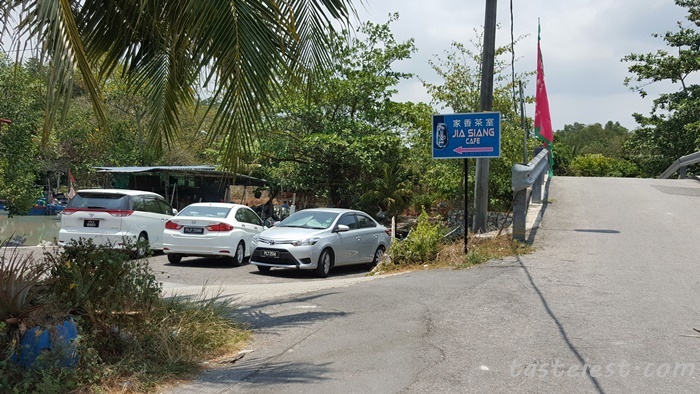 After some searching on Internet i found the restaurant name Jia Siang Cafe. It is not too far from Air Itam, with smooth traffic we can reach around 40 minutes, navigate with GPS make life easy. We reach around 1pm and the whole restaurant is fully occupied, waited for 5 minute and we are so lucky to secure a table. 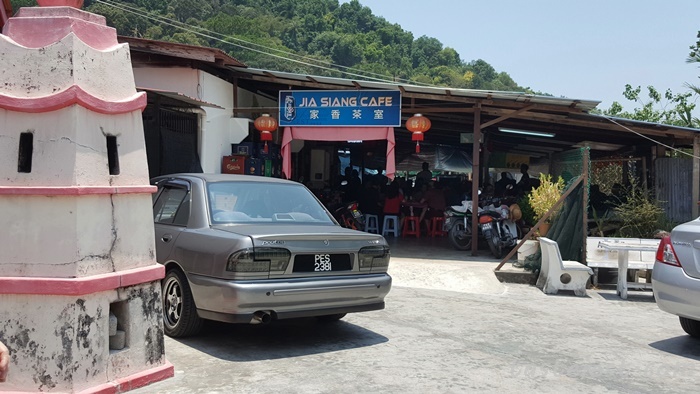 The restaurant is pretty small and only have around 15 tables, they can’t put more table as only 2 chef available and food serving is extremely slow. we waited for 1 hour to get our drink and another 45 minutes for our food to served. 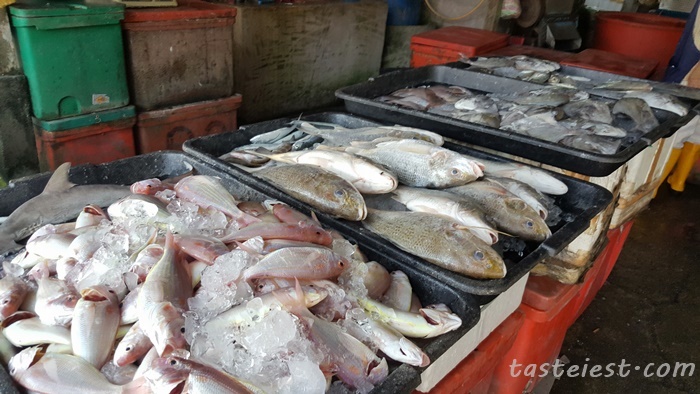 Fish market behind restaurant have fresh seafood for sell and you can buy here and send to restaurant for cooking. There is 5 stall that selling seafood. This shop seem to be having the most variety of seafood. Assorted seafood avaialble, according to my mum price are not really cheap but reasonable, the big different is the freshness. We bought lala, prawn and fish. Another stall selling seafood as well, we bought a medium size fish for RM14. OMG, shark? 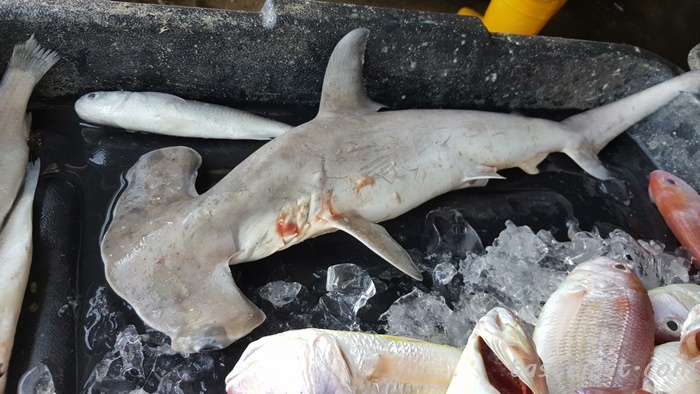 What a waste, this tiny shark is unlucky. 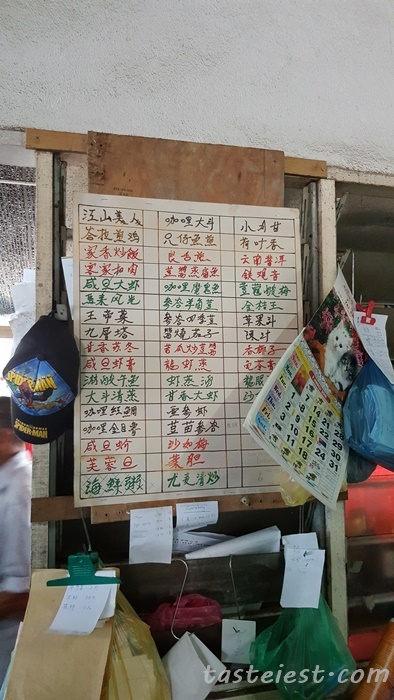 Jia Siang Cafe only have certain seafood such as prawn, crab, squid and some fish only. 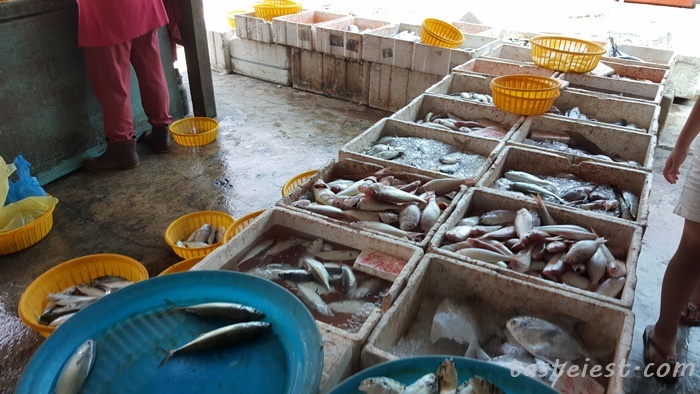 They encourage you to bought your seafood from stall behind and they will prepare for you for a small amount of fees. 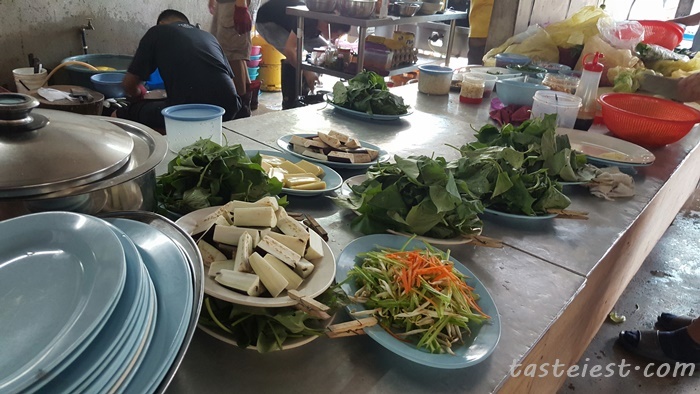 By the way, they do have various kind of vegetable as well. 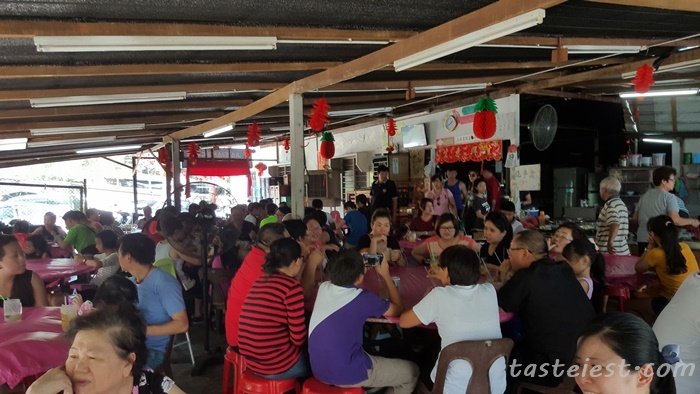 Their famous Belacan Chicken Wing and Kou Rou (yam pork) are sold out at 1pm, so fast! So many type of cooking method available for different kind of seafood. 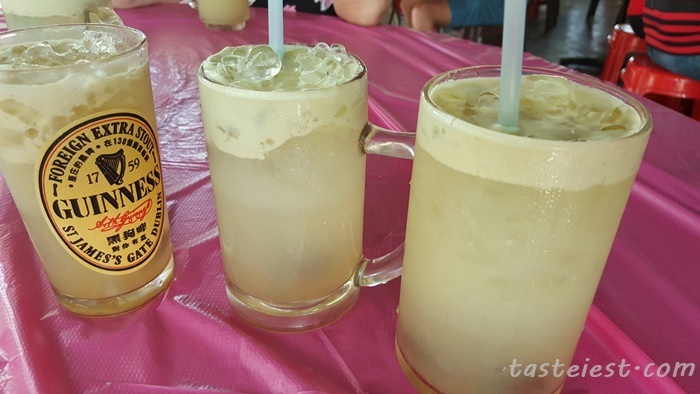 After waiting for 45 minutes our drinks still not served, we decided to walk to the kitchen and grab some longan jelly RM1.50. 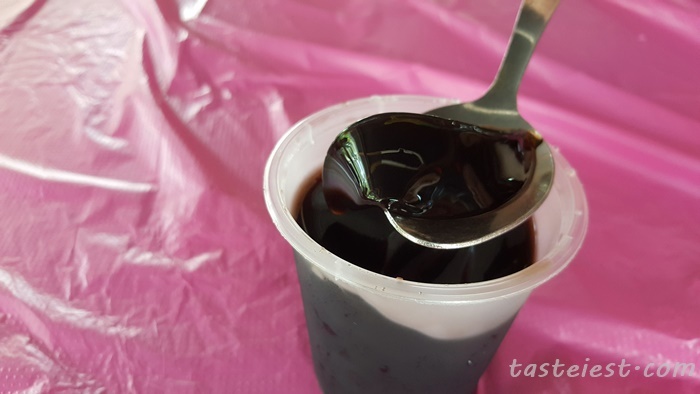 Taste pretty especially during hot days. 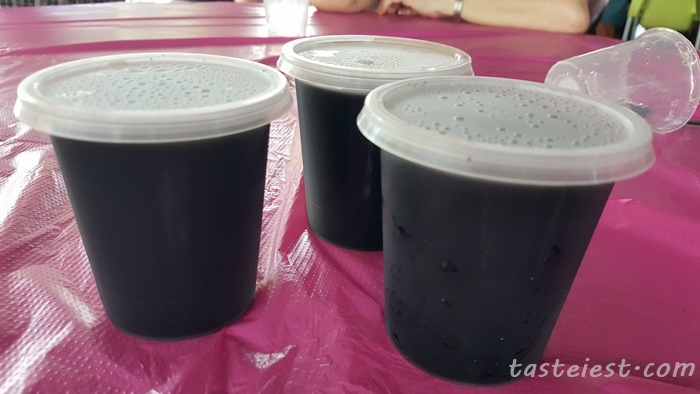 Longan Jelly not enough then try Herbal Jelly 龟苓膏 RM1.50. 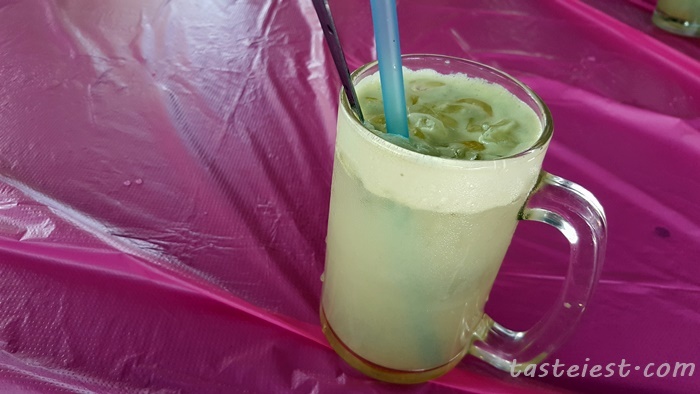 Finally our drink served, Balik Pulau famous Nutmeg Juice RM2.50 each. Fresh nutmeg juice is really awesome, add on sour plum make it taste even better. After waiting for 1hour 45minutes, first dish served. We are so hungry. 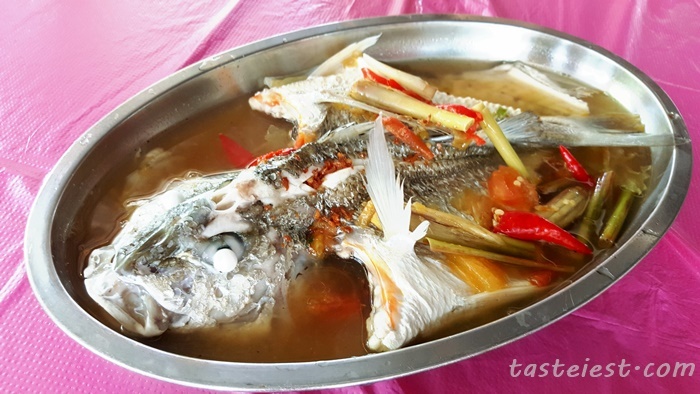 江山美人 is a cooking method which put a lot of lemon glass and chili to steamed fish. 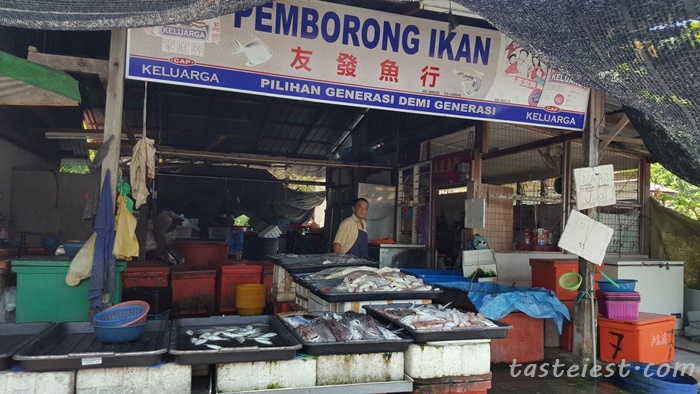 RM14 for food preparation and we bought the fish for RM14 as well so total RM28 for this fish. 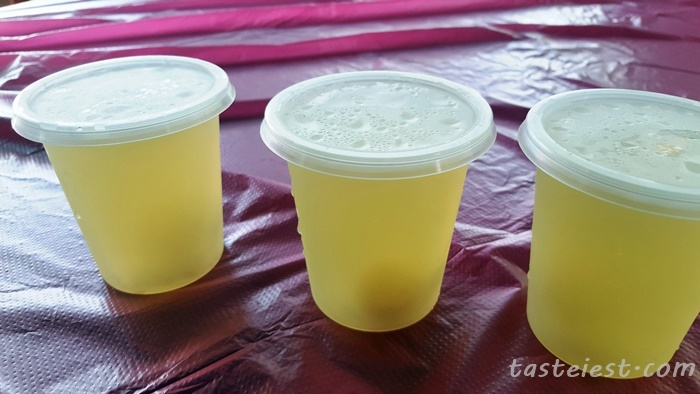 The soup is really tasty, very strong lemon glass follow by spicy taste. 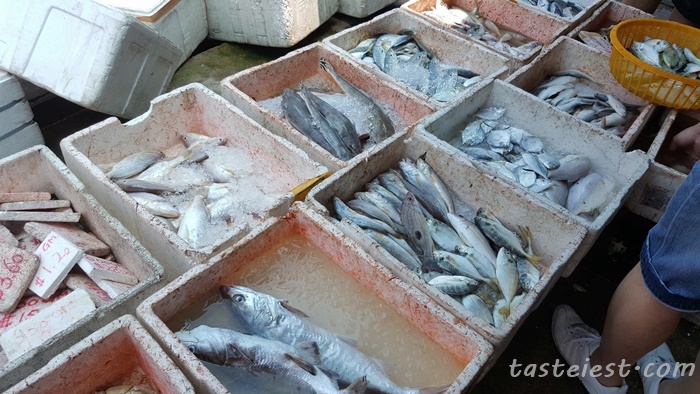 Fish are 101% fresh, I love the fish very mush as it is really tasty, even the stomach area has no fishy taste. 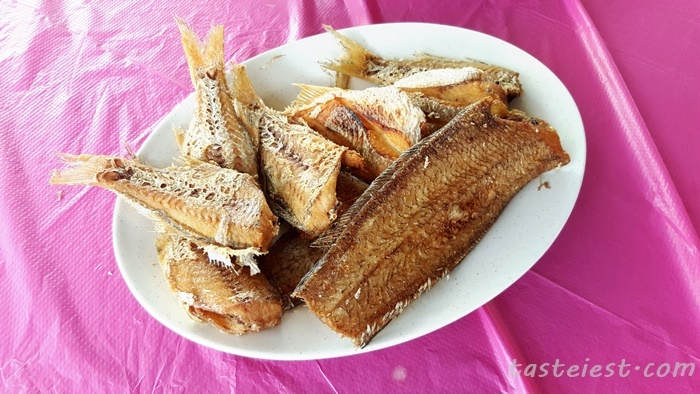 Deep fried fish, we have 3 different type of fish here which i not able to name even one of them. LOL. 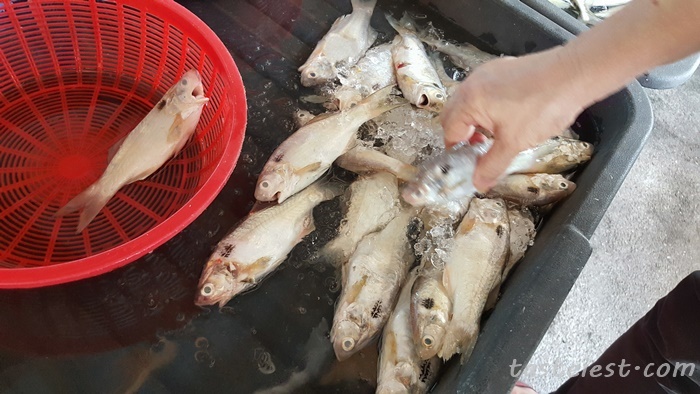 Anyhow, all our fish are nicely deep fried to crispy texture. 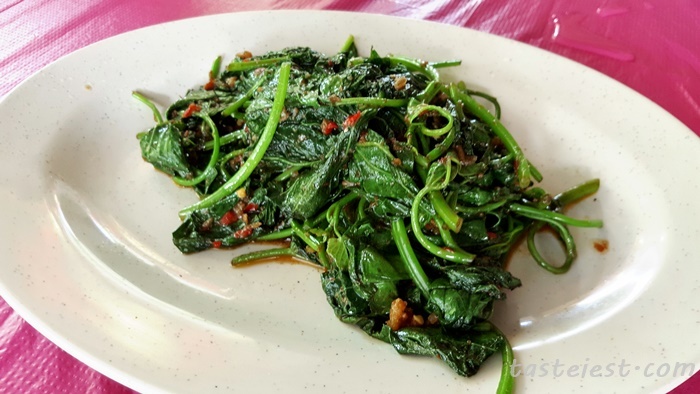 Sambal Kangkung RM8, although it look to be plain but it has extremelys strong sambal taste. GOOD! 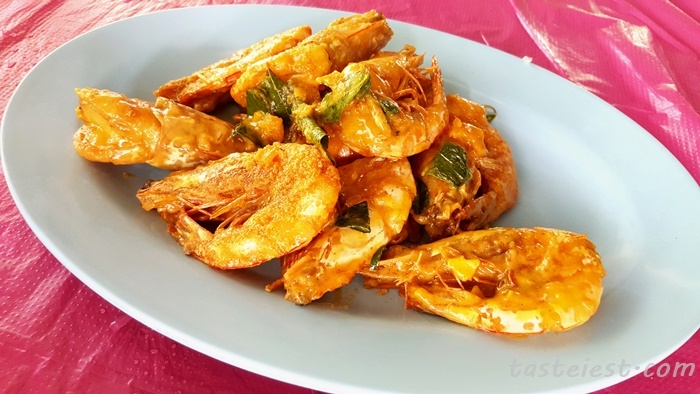 Salted Egg Prawn, Preparation RM12, Prawn RM17, total RM29. We bought 10 prawn from stall and bring it over, we love the salted egg sauce which are finger licking good. A little bit sweet and salty which are awesome. 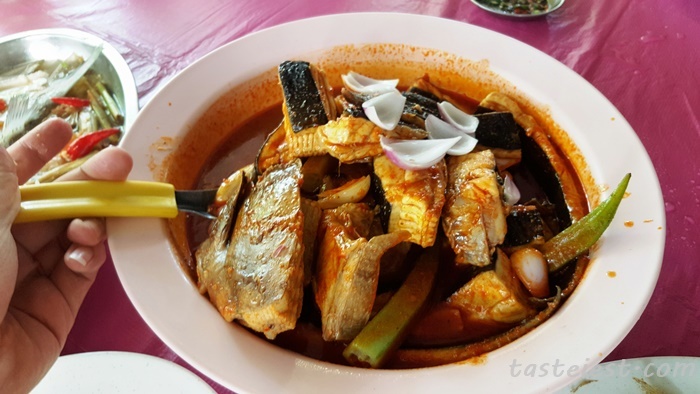 Curry Fish RM50, super big portion of curry fish which has almost 20 pieces of stingray inside. 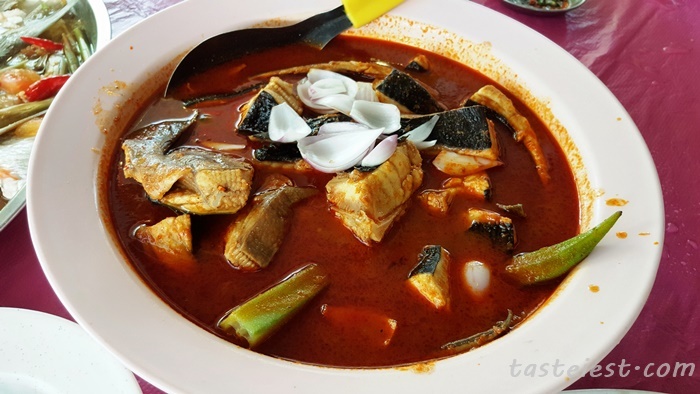 The curry taste so good that I can eat one big bowl of rice with it, first bite of the fish and i am surprise that stingray can taste so good. The meat is so springry and fresh. 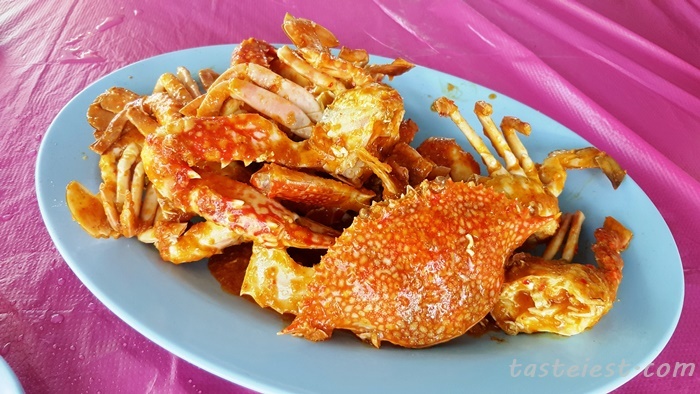 Flower Crab RM50 include preparation and crab. We have it cook in “weird sauce” 怪味酱， which taste a little bit like Singapore Chili Crab flavor but not that watery. Total 4 crab, 1 big 3 small which are all very fresh. Kam Heong Lala, preparation RM12 lala RM10. 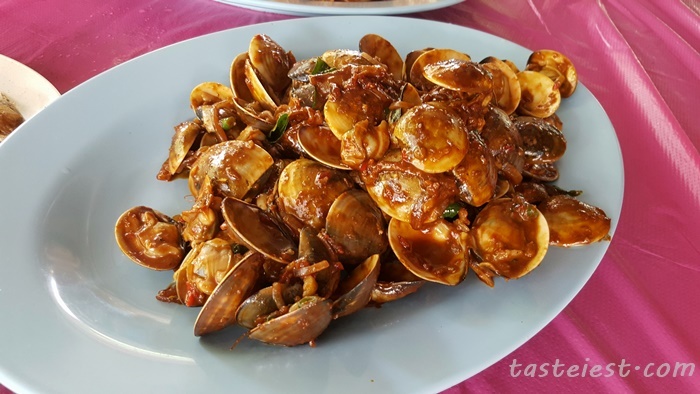 Great amount of dried shrimp added into the kam heong sauce which make it taste so good. 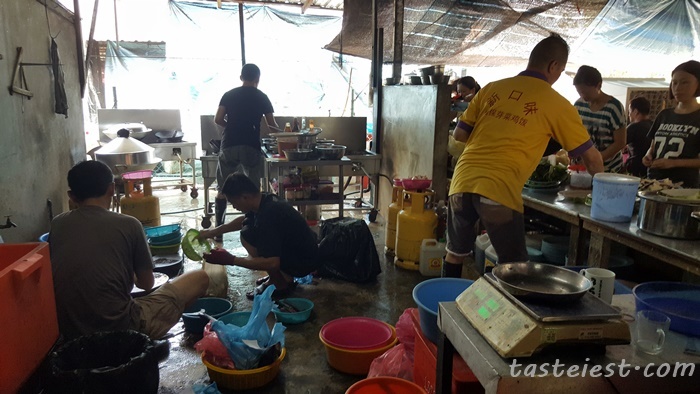 Seafood are extremely fresh, food taste are good as well, the only down side is the waiting time and environment which is rather hot. 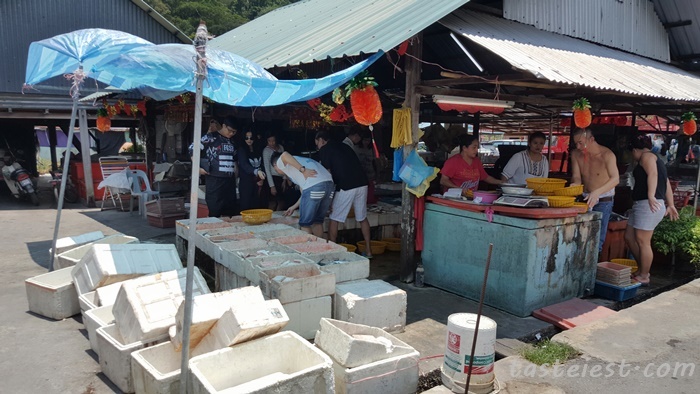 Can buy seafood behind restaurant,and cook here! Very fresh. 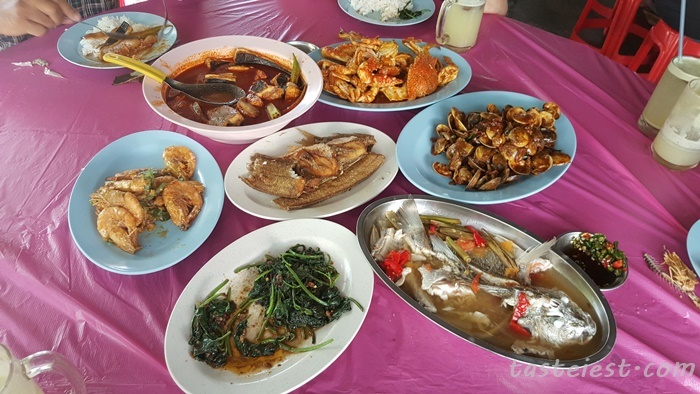 We went last saturday 24/3/18, the food is expensive ( 5meals small fish, sotong, prawns, taufu & vegatable, cost RM160++) and taste bad.